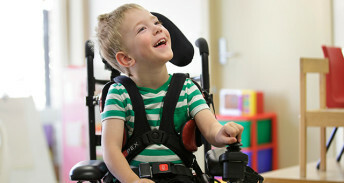 able to walk properly, will not be able to pick objects and have problem with eye movements, speech etc. This occurs when the cerebellum- a part of brain gets inflamed or damaged, that’s why also known as cerebellitis. The condition most commonly affects children, particularly those between ages 2 and 7. However, it occasionally affects adults as well. Infections Ataxia can be a complication of chickenpox and other viral infections. Tumor A growth on the brain, cancerous (malignant) or noncancerous (benign), can also cause damage to cerebellum. Toxic reaction. Ataxia is a potential side effect of certain medications, especially barbiturates, such as phenobarbital; sedatives, such as benzodiazepines; and some types of chemotherapy. Alcohol and drug intoxication, heavy metal poisoning, such as lead and solvent poisoning, such as from paint thinner, also can cause ataxia. Stem cell therapy is an emerging therapeutic modality that has great potential for treatment of several untreatable diseases. Stem cells are unspecialized cells present in human body and have remarkable potential to develop into different kinds of cells. When stem cell divides, each new cell has inherent capability to be either a stem cell or can become more specialized cells such as muscle cells or red blood cells or brain cell. The procedure of stem cell therapy for a neurological disorder is minimally invasive, done on an outpatient basis, and is normally done in a matter of a few hours. The stem cell harvesting procedure requires only a small amount from patient’s thigh, or belly area, the only local anesthesia is needed. Stem cell procedure entails the infusion of stem cells into the body where they travel to dysfunctional tissues and restore them to their initial state. Stem cell therapy is expected to ameliorate the sufferings of ataxia patients with enhanced performance in muscular functions, peristaltic movements, and cranial capacity. The encouraging results obtained in clinical trials have raised a hope for a new era for management of neurological disorders including ataxia.